Central Park Conservancy is responsible for the management, restoration, and enhancement of Central Park, and we rely on private donations to fund that work. In fact, 75% of the budget needed to keep the Park beautiful and vibrant comes from individual donors. 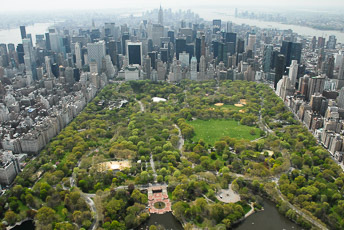 As a member of Central Park Conservancy you're doing your part to maintain this vital and beloved New York resource. Membership also comes with great benefits, including your own canvas Conservancy tote bag and exclusive access to private tours, events, and more. Every membership level is 100% tax deductible. Invitation to an exclusive annual cocktail party, hosted by Conservancy Chairman, Thomas L. Kempner, Jr.
Benefits will be matched according to the level of the donation. Select a membership level to see benefits for that level. You'll receive email updates from the Conservancy. You may unsubscribe at any time. I would like 100% of my donation to go toward supporting the Park. Please do not send me a Conservancy tote bag or other special gifts. Before we process your membership, will you make your support go even further by making a $ monthly membership gift instead? You'll keep your membership and all of the benefits that go along with it! Plus, to show our thanks, we’ll send you a special Conservancy travel mug! Yes! Process my monthly membership of $. Not today. Process my one-time membership of $.